Watch your step with this young lady, Mr. Woods. Olympic Gold Medal Skier – Lindsey Vonn photographed at the Go Pro Mountain Games in Vail, Colorado this past weekend. 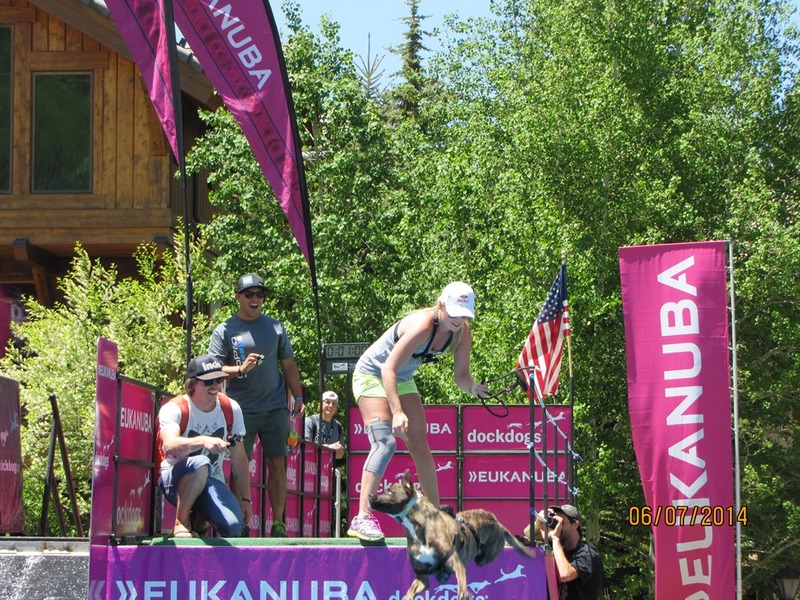 Lindsey brought her dog “Leo” – to the Eukanuba “Dock Dog’s” competition – where a ball is thrown into the Water and (in some cases) the Dog leaps into the air then water in order to retrieve the ball for it’s owner. Lindsey’s dog Leo…didn’t feel like competing last Saturday – so in front of the entire assembled crowd – Lindsey picked up her dog – AND THREW HER POOCH INTO THE WATER right after that ball! ECT still not sure when “dog throwing” became part of Lindsey’s upper body strength training program – but what we do know is…if you click on the photo you’ll discover Lindsey’s special way of carrying her iPhone. Here’s a few more photos – for the Lindsey Vonn fans around the globe! « Current EC Public School District Spending – Undisciplined?